Customized cow shape bottle opener animal keychain is one pocket-and-budget friendly promotional choice for dairy farms, food take away joints, restaurants, hotels, burger joints, delicatessens, etc. It offers stellar surface to position you business information. It can be availed by marketers who wish to stand out in crowd with their marketing efforts. 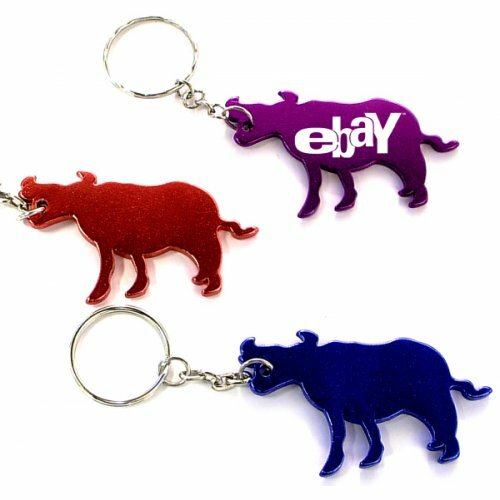 Huge discounts can be availed on wholesale orders of this cow shape bottle opener keychain. Chinese animal zodiac keychain. Metallic color finish is done over solid aluminum construction to give brilliant finish to your efforts to look big. Request a quote to know your savings wholesale discounts on promotional cow shape bottle opener keychain. Features – Cow shape bottle opener with key ring in metallic finish. 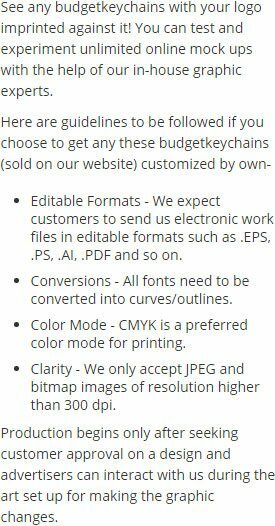 Product Size – 2 1/4" x 1 3/8"
Available Colors - Metallic Black, Metallic Gold, Metallic Blue, Metallic Green, Metallic Red, Metallic Purple and Metallic Silver. Imprint area – 1" x 1/2". Imprint Method - Full Color Process, Laser Engraving, and Printed. Product Size :2 1/4" x 1 3/8"